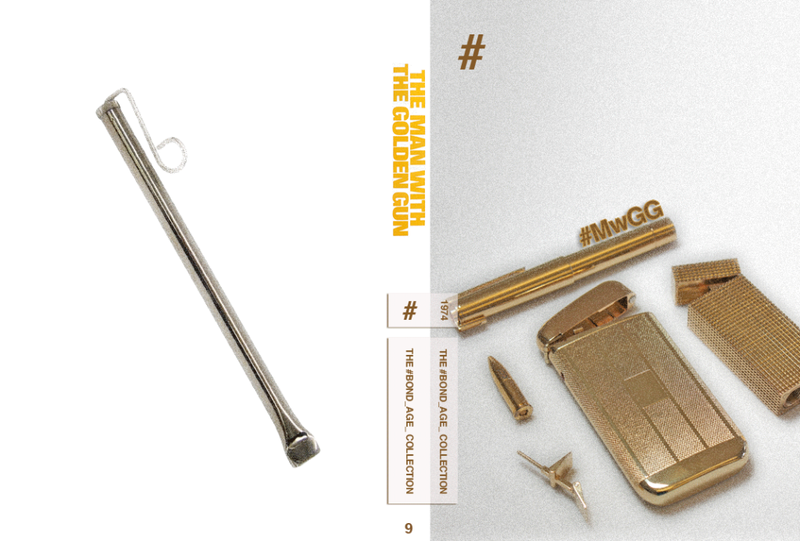 The Golden Gun is one of the most iconic props in the entire Bond series. It only seemed fitting then to break the gun down into it’s fascinating component parts (with extra 1970’s film grain!) for the custom DVD cover. Sadly, I could find no place to hide Sheriff Pepper with the back devoted to the infamous slide whistle. I’ll just have to put him on the cover of the insert book. I don’t mean to pat myself on the back (too much) for this cover but I f’ing love its simplicity. I’d thought about doing a grand homage to the Javelin Jump but I’m glad I scaled back that concept to highlight the gun. Sometimes the obvious answer really is the best.